We offer classes in Fitness Kickboxing, High Intensity Circuit Training, and Adult and Kids Brazilian Jiu-Jitsu. Our gym has the best equipment, offers the most amount of classes out of any group fitness gym in town, and is OPEN 7 DAYS A WEEK. We have multiple pricing packages that include college student agreements tailored just for the college student. We also have showers, changing areas, and water fountains for our customers and take pride in having the cleanest facility in town. You have fitness goals. We have the resources and people to make them a reality. We’ve got you covered. Too good to be true? Check out all that we offer. Each of our Fitness KB classes are 50-55 minutes long and are designed for any and all fitness or experience levels. It is a high intensity, fast-paced class that is structured around time and intervals rather than reps, allowing you to go at your own pace. 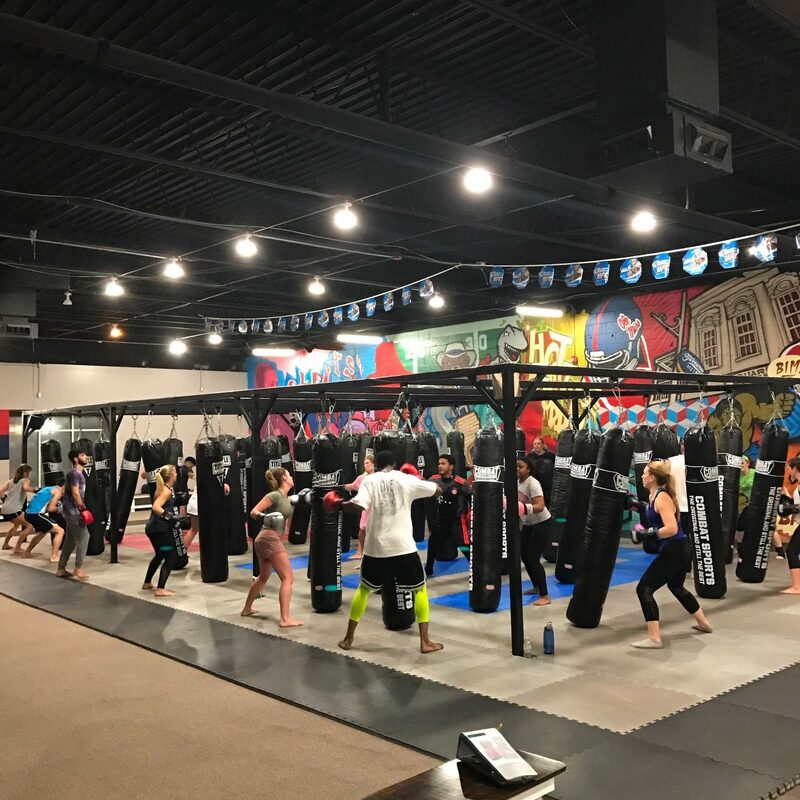 Together our instructors have over 60 years of Martial Arts and Kickboxing experience at the highest level, giving them an abundance of knowledge on fitness and full-body workouts. All of our instructors are highly motivating and are eager to guide you in your health and nutrition needs. Brazilian Jiu Jitsu is a grappling art form designed for self-defense. BJJ promotes the idea that a smaller, weaker person can successfully defend against a bigger, stronger attacker by using proper technique and leverage, and applying joint-locks and chokes to subdue an opponent. We have several students who compete in sport jiu jitsu, in which similarly-experienced grapplers are provided with an opportunity to showcase their knowledge and skills learned during classes through competition. Our instructor is Brandon Wilkinson, a Brown Belt with Memphis Judo and Jiu Jitsu, under Jiu Jitsu and Judo Black Belt Steve Combs. Brandon has been a part of teaching Brazilian Jiu Jitsu in Oxford since 2004 and is located here in Oxford, MS.
We have several students who compete in sport jiu jitsu, in which similarly-experienced grapplers are provided with an opportunity to showcase their knowledge and skills learned during classes through competition.Our instructor is Brandon Wilkinson, a Brown Belt with Memphis Judo and Jiu Jitsu, under Jiu Jitsu and Judo Black Belt Steve Combs. Brandon has been a part of teaching Brazilian Jiu Jitsu in Oxford since 2004 and is located here in Oxford, MS.
Before coming to your first KB class, please arrive 15 minutes before the class time in order to fill out a waiver/information sheet, get your hands wrapped, and get all set with a pair of our Oxford Fitness Kickboxing gloves. Typical attire is workout clothing that is both comfortable and supportive. Feel free to bring a water bottle or sports drink, or we have water fountains available for your hydration convenience! Before coming to your first BJJ class, please arrive 15 minutes before the in order to fill out a waiver/information sheet. This will also give you time to find a Gi in your size. Typical attire for your first BJJ class is workout clothing that is both comfortable and supportive. Feel free to bring a water bottle or sports drink, or we have water fountains available for your hydration convenience! At Oxford Fitness Kickboxing, I get my best work out. The talented and friendly instructors provide varied routines that make you sweat and make you proud when you leave the gym. The walls are painted all things Oxford and the Rebels, the equipment is excellent, and the people that work there and work out there are like-minded and keep you motivated. I would recommend OFK to anybody looking for a workout that will you make you healthier and happier. Throughout my undergrad career at Ole Miss, I never truly found a gym or workout routine that I absolutely loved in Oxford. When I joined OFK in 2015, I immediately loved the classes and workout that I got from this gym, and I became excited about going each time. For the past 2 years, I’ve grown to love the workouts provided by OFK, and I’ve become stronger and more fit than I have since coming to Oxford 7 years ago. I have always struggled with weight gain and loss. In March of 2016 I weighed in the heaviest I had been my whole life. I had let myself go and blamed it on a busy daily life. I decided to use all of those excuses as motivation. Alongside a healthy diet and running, Oxford Kickboxing has helped me lose 50 pounds. The instructors and numerous class times have helped me stay focused, motivated, and in routine. I look forward to continuing to meet personal goals with the help of Oxford Kickboxing. We are located at 2146 Jackson Ave W. and share the parking lot with IHOP. If you are coming down Jackson Ave from Hwy 6 towards campus you will turn right into the parking lot just passed iHop and we are in the same shopping center as Johnson Furniture and Campus Bookmart but on the opposite end. If you are coming from campus down Jackson Ave towards Hwy 6 you will turn left into the parking lot just before IHOP. The longer you wait, the further you’re getting away from your goal. Those calories aren’t burning themselves. Make the commitment to be healthy now. We’ll be your partner every step (kick or punch) of the way. PLEASE FILL OUT THE FORM BELOW TO START YOURÂ FREE TRIALÂ OF CLASSES.